Steampunk. Always Ahead of Its Time. How Apropo. My foray into Steampunk has me looking for Steampunk influence anywhere in our culture. Every time I find it, it’s trying to be part of mass culture, but it’s disconnected and ahead of it’s time. How annoyingly apropo. 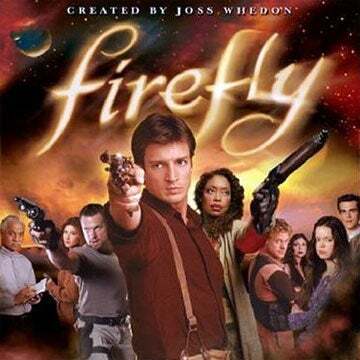 Firefly: Released in 2002. Tanked. Ranked cult in 2005. Loved by 2009. Talked about in Entertainment Weekly by 2012. What makes it Steampunk: Tinkering. Anachronistic language, dress and behavior. Technology that doesn’t exist – because it’s in a future time period. Goggles. Courtesan. Airships. What makes it ahead of its time: It aired, flopped, failed and succeed years later. Cloud Atlas: Released 2012 bringing in only ~$27 million against a $102 million budget (IMDB). Has huge names in the industry but was produced independently and with horrible marketing (IMHO). Seem to be gaining some interest in 2013; released through HBO and HBOGo just recently. What makes it Steampunk: Alternative futures and histories. Story lines that defy time. The devil in a top hat. Airships. What makes it ahead of it’s time: The movie Babel successfully intertwined multiple story lines similarly to Cloud Atlas, but the mass market may not be ready for multiple story lines across time. Cloud Atlas requires us to bend our concept of past and future lives, fate and time itself. But physicists are working on bending time… we might best well get used to the idea. What makes it Steampunk: Everything. It’s set in an alternative Victorian age with sci-fi and fantasy characters coming out of nowhere. What makes it ahead of it’s time: The UK and South Africa seem to get it, but the US still doesn’t (?). A few cultists probably do… So, well. This one may not every succeed here. But it’s a great example of steampunk at large that at-first failed. Are you new to Steampunk? This is the book that made me fall in love with it. It might engulf you, too. This entry was posted in Blog and tagged mass market culture, Steampunk by catcarlson. Bookmark the permalink.